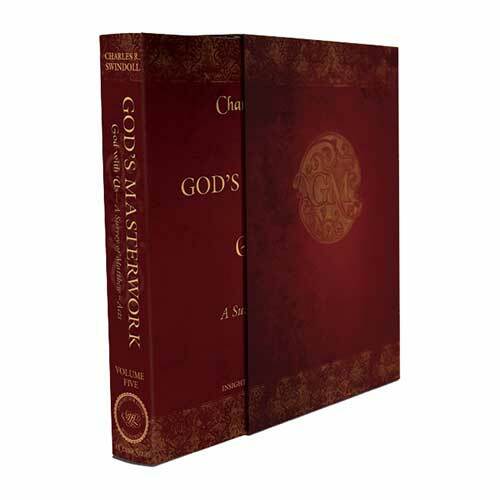 Listen to Chuck Swindoll’s overview of Mark in his audio message from the Classic series God’s Masterwork. The Bible records more information about Mark than any of the other gospel writers aside from the apostle John. Luke mentioned Mark’s name several times in Acts. A budding Jerusalem church met in his mother’s home. Mark also started the first missionary journey with Paul and Barnabas but went home early, though he later traveled with Barnabas to Cyprus for more mission work. He became significant in the life of Paul, being one of the last people the apostle mentioned in his final letter (2 Timothy 4:11). However, Mark’s most significant personal connection was the one he had with Peter, who was likely Mark’s source for the material in the gospel. Mark’s mother’s house was a regular enough stop for Peter that the servants recognized him by voice alone (Acts 12:12–14). And it appears that Mark was present at Gethsemane, a young man watching the proceedings from a safe distance (Mark 14:51–52), leading some scholars to believe the Last Supper took place in Mark’s home. Because Mark offered no further comment on Jesus’s prophecy regarding the destruction of the temple—an event that occurred in AD 70—we can safely assume that Mark composed the gospel sometime before that tragic event. Also, the gospel has a distinctly Roman feel to it, particularly when compared with the Jewish emphasis of the book of Matthew. Mark chose to leave aside most comments on fulfilled prophecy (compare Matthew 21:1–6 and Mark 11:1–4), and when he felt compelled to use an Aramaic term, he interpreted it (Mark 3:17). This suggests that Mark was in Rome, writing from Peter’s recollections sometime before that apostle’s death (ca. AD 64–68), possibly composing the gospel between AD 57 and AD 59. 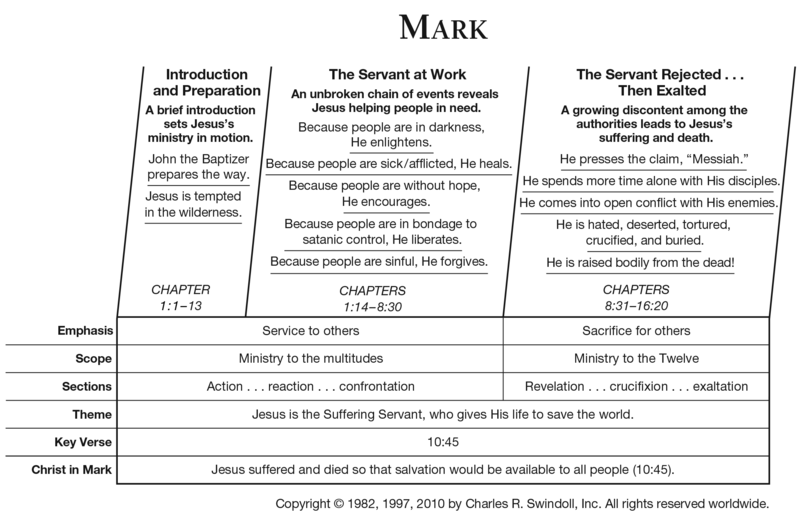 Mark’s gospel portrays Jesus as constantly on the move. The forward motion in Mark’s writing keeps the knowledgeable reader’s mind continually looking ahead to the cross and the resurrection. 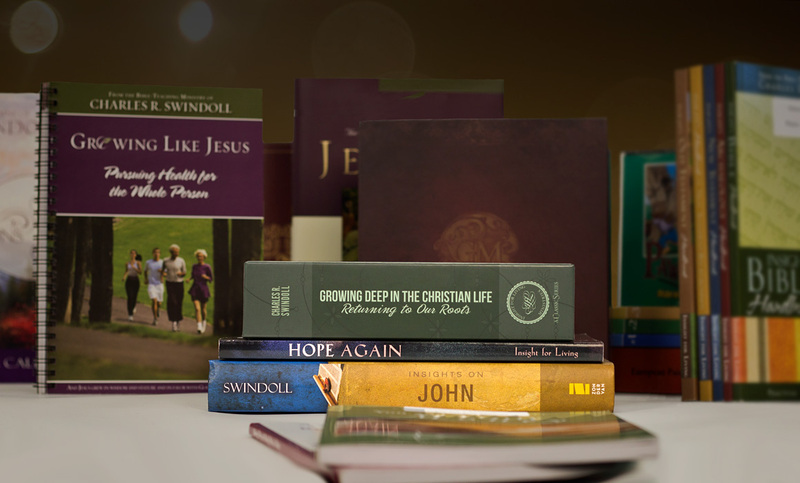 Thirty-nine times Mark used the word immediately, giving a sense that Jesus’s time on earth was short and that there was much to accomplish in His few years of ministry. 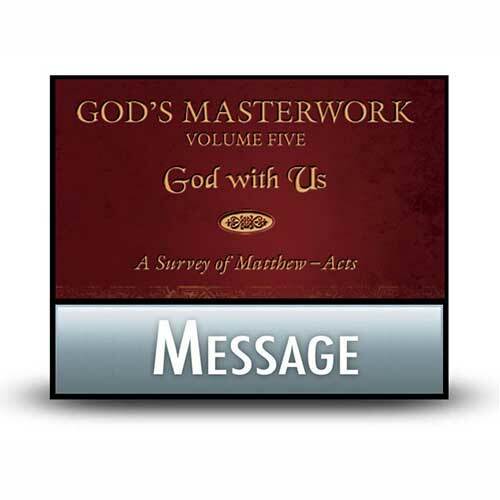 While Matthew’s gospel portrays Jesus as the King, Mark reveals Him as God’s Servant. Jesus’s work was always for a larger purpose, a point clearly summarized in Mark 10:45, “For even the Son of Man did not come to be served, but to serve, and to give His life a ransom for many.” Mark filled his gospel with the miracles of Jesus, illustrating again and again both the power and the compassion of the Son of God. 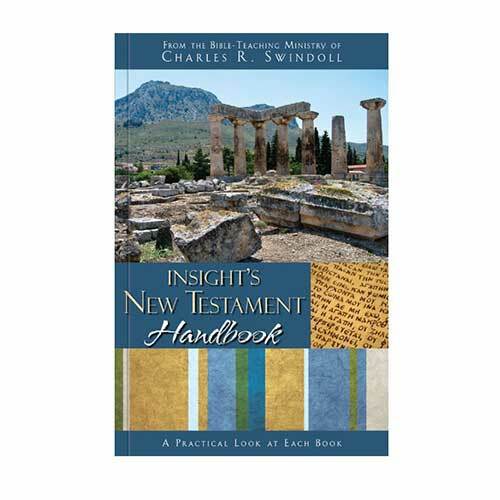 In these passages, Mark revealed more than Jesus as the good teacher who offered people spiritual renewal; the book also portrays Jesus as the true God and the true man, reaching into the lives of people and effecting physical and circumstantial change. But Jesus’s life as the agent of change wasn’t without an ultimate purpose. Amid His hands-on ministry, Jesus constantly pointed to the definitive way in which He would serve humanity: His death on the cross and His resurrection from the dead. It is only through faith in these works of Jesus Christ that human beings find eternal redemption for their whole selves. 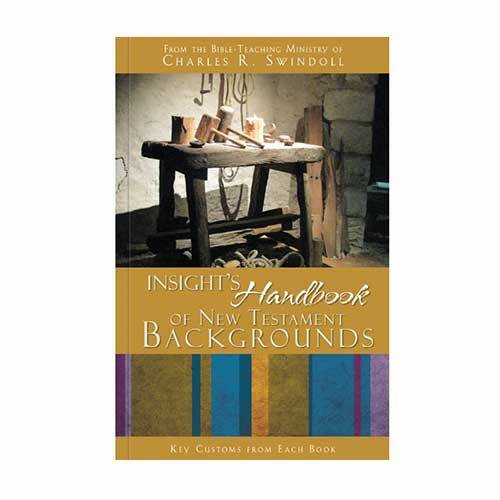 Moreover, Jesus becomes our model for how to live our lives—serving others as He did. Do you find it a struggle to get yourself oriented toward sacrificial service, as Jesus’s disciples did? The temptations we all wrestle with when faced with an opportunity to serve another person are to pull back within ourselves, to seek our comfort, or to protect our own interests. 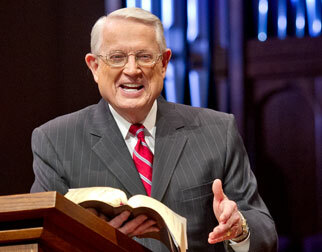 View Chuck Swindoll's chart of Mark, which divides the book into major sections and highlights themes and key verses. Discover more resources related to Mark.